Icing's Power to the Pink is the second nail polish I purchased in my Buy 1, Get 1 50% Off purchase. I thought it was an interesting polish because it reminds me of a neon pink version of a Deborah Lippmann glitter/jelly polish. Power to the Pink is polish with large hexagonal and small holo glitters in a pink base. It has a slightly goopy consistency and has a rough texture, so it will need at least 2 layers of top coat. As Katy Perry said in her song Peacock, "Lemme See Your Peacock." I went on a mini shopping spree at Icing yesterday and picked up 4 nail polishes on their perpetual Buy 1, Get 1 50% Off deal. One particular glitter polish caught my eye and it was aptly titled Lemme See Your Peacock because it does remind of the colours of peacock feathers. It is a beautiful mix of large aqua, green and fuchsia hexagonal glitters. It is a fairly dense glitter polish with a clear base. To celebrate almost 2000 followers I decided to have a Twitter giveaway for some fun! I've been collecting products for giveaways for quite a while now, so I feel now is the time to start unloading some products on your guys. I am pretty active on Twitter and I love interacting with everyone. If you've ever tried to send me a message through YouTube, you may know that I am terrible for responding, therefore, Twitter is probably the quickest/easiest way to get a response from me. 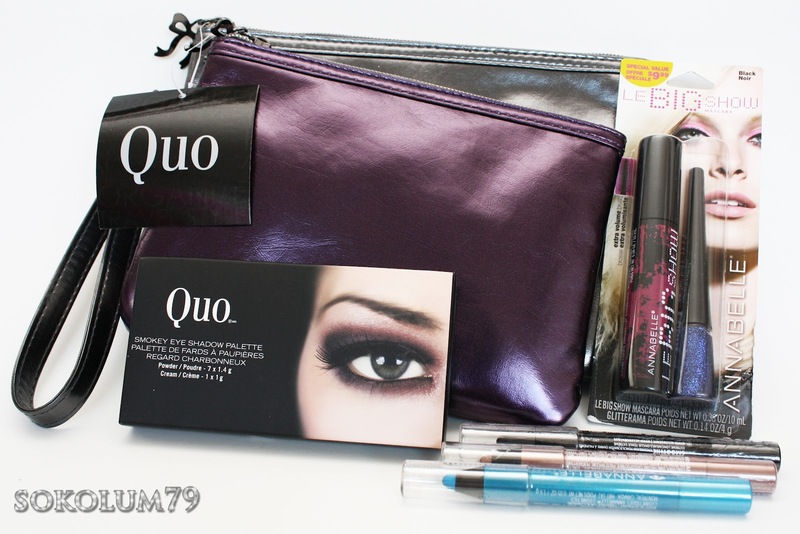 Prize #1 is a pair of metallic Quo cometic bags, a Quo Smokey Eyeshadow Palette 2 (purples and browns), Annabelle Cosmetics Le Big Show mascara w/Glitterama Liner, and three Annabelle Smoothie Eyeshadow Pencils in Licoriche, Mokamirage and Acaidasiac. 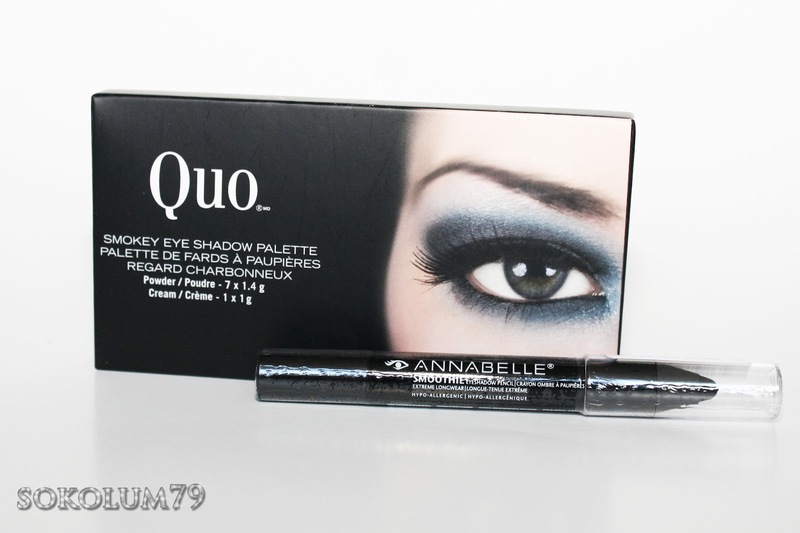 Prize #2 is a Quo Smokey Eyeshadow Palette 2 and an Annabelle Cosmetics Smoothie Eyeshadow Pencil in Licoriche. 2. Click the following link to tweet: I've just entered @Sokolum's Twitter giveaway! #SokolumsGiveaway. You DO NOT need to post links to your tweet, I can find your tweet via the hashtag. **IMPORTANT - If your Twitter account is protected, I will not be able to see your entry, you must first unlock then tweet and then you can protect your account again. I was originally asked by a friend of mine to create a look inspired by The Hunger Games, but the project was pushed back by a third party... I decided to post this video anyway and design another look for the project. 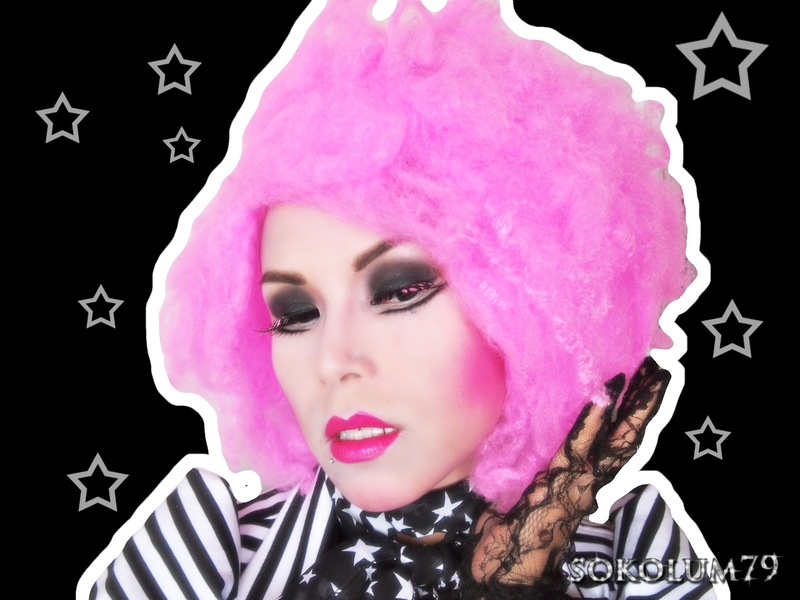 This look was designed with the Capitol City people in mind. The men and women had bright lipstick and hair and some had dyed skin and facial tattoos. To people from the various districts, they looked like clowns.